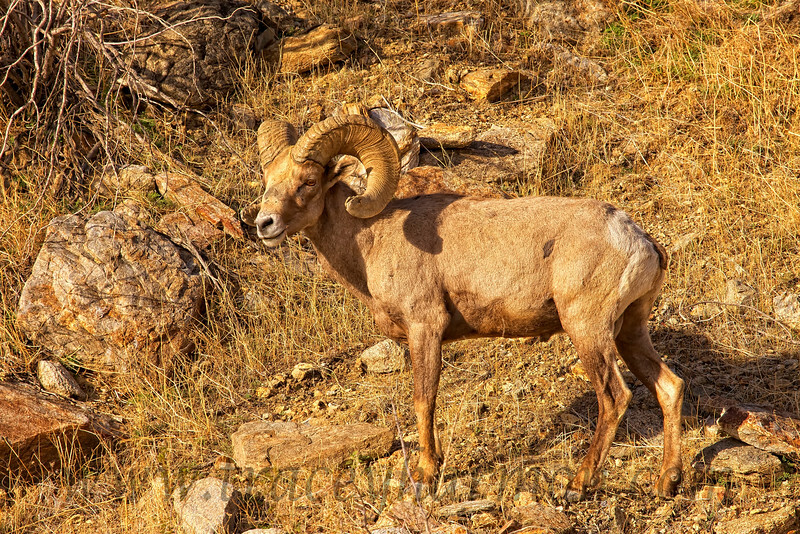 The Peninsular Desert Bighorn Sheep, or Borrego Cimarron, are in real trouble in southern California as only about 400 of the animals remain in the United States. Fragmented habitat, diseases of domestic sheep, Mountain Lion predation, and other factors are all taking their toll on the limited population. This Desert Bighorn ram "magically" appeared directly in front of me, even though I stood still in a prime area many minutes looking, and listening, for sheep. Their camouflage truly fits their environment.